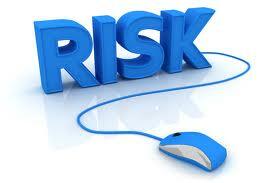 How to avoid risks in site selling field? If you’re not careful, if you’re less informed you can be fooled, big time, even if you think you made a good deal. Many people have farm sites. It is a like any other farm. They buy a domain place it on a host, then some content, fake traffic, some backlinks and after 2-3 months is on sale. As with any other farm, the owner has his very own cow to milk. Meaning that he knows how to make you buy something that has a value of -0 at a price, multiplied by 1,000. The most common niche, for doublecrossing can be found in online movies, +18, recipes, news sites. If a site has 30,000 visitors per day,it is possible that after you buy it,a few days later, visits to drop to zero,because traffic is fake. 1. When you find a site that interests you look for http://archive.org/web/ to see the history of the domain / site. 2. Google the name of the domain and site: Seoday.co.uk to see how it is indexed and references about it. 3. Check AD (authorithy domain) and PA ( page authority ) and the number of backlinks and where they are on http://www.opensiteexplorer.org/ site. 4. If you still find the site interesting please contact the owner. 5 . Ask about statistics and if they are set to private options, ask to make them public. Satatistics can be altered in many ways. Even if you see in the statistics that traffic is high and it has referer like Google, Facebook and others, that traffic comes out of these sources do not believe it. More than likely it is fake. There are countless ways you can hide the real referer and you can put any site. One method is to check the alexa.com website. If a site with fake traffic of 30,000 visits per day is 20 to 10 million in alexa ranks, then surely it is fake. However,this is not a guaranteed method. And alexa.com rank can be altered / influenced. 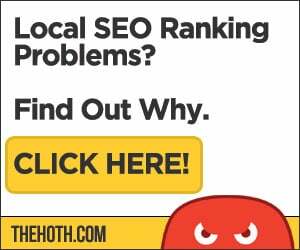 Other methods are to make a comparison between the number of visits, bounce rate, time spent on site, depth of visit, the input page and the output page. If you used at least once a traffic exchange, you can tell if the traffic is fake without having to analyze the above information. At least for me it is enough to watch the traffic, where it comes from and I realize immediately if it is legitimate or fake. 6. Ask for proof for the site cashing for at least the last three months. To avoid being fooled ask to make a video where the date and time are shown it is done. This way, you know that the evidence is true. Example. This article was written on 10/04/2014, 5:13 pm. Now in most advertising companies cashing is displayed on the site. So do not believe the seller when he says to you he can not show you the receipts. Almost all of them will display in most cases fake or receipts from other websites or accounts that have nothing to do with the site in question. Adsense plugrush, exoclick, juicyads provides statistics on income per domain. There are others, but only these were mentioned. 7. The value of a site is calculated according to the following rules, but not necessarily. The average of the cashing in on the past 3-6-9-12 months X 3-6-12 months = sum. The final sum can be influenced if the script is a custom one, the domain is a premium one, etc..
Generally, the amount of revenues is taken into account. A site costing 10,000 euros to do means nothing, if it does not produce anything. 8. Look for information about the seller on the internet. Somewhere there must be some information and if he has doublecrossed someone you will definetly find it. You can search by name, nick, email, YM id, phone, etc..
9. If all turns out well then you can negotiate per any cent as much as you can. Written above does not guarantee that you will not get fooled when you buy a site. It’s up to you what you do with this information. If you want to buy a site and you are not sure if it is legitimate, you can post the domain names below and I’ll take a look. This entry was posted in SEO and tagged Adsense, alexa ranks, authorithy domain, backlinks, Check AD, domain, exoclick, Facebook, fake traffic, good deal, Google, PA, page authority, script, Seoday.co.uk, site, website, YM on July 13, 2014 by Lula Moore.